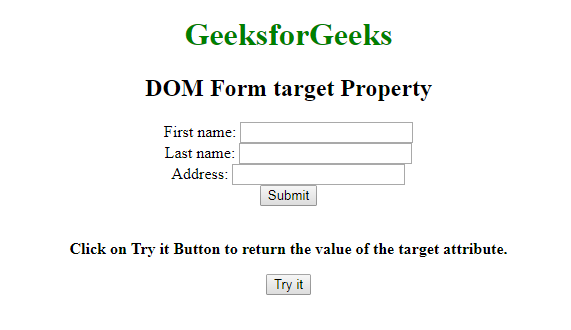 The DOM Form Target property is used to set or return the value of the target attribute of the form.The Target attribute is used to specify whether the submitted result will open in the current window, a new tab or on a new frame. It is used to return the target property. 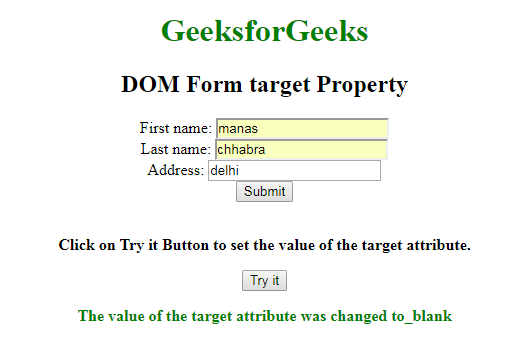 It is used to set the target property. _blank: It defines that submitted result will open in a new window or in a new tab. _self: It specify that the submitted result will be open in a same window. _parent: It specify that the result will be open in a parent frameset. _top: It specify that the result will open in a full body of the window. framename: It opens in a named frame. Return Value: It returns a string value which represents that whether the submitted result will open in the current window, a new tab or on a new frame. 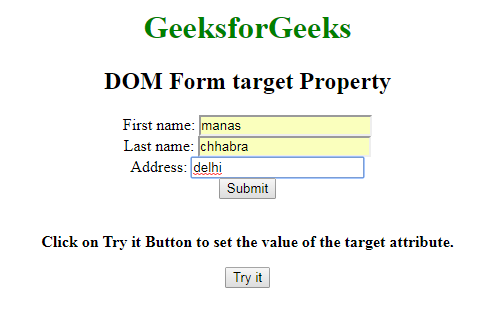 Example-1: HTML Program that illustrate how to set the Property. "The value of the target attribute was changed to"
Exaple-2: HTML Program that illustrate how to return the property. 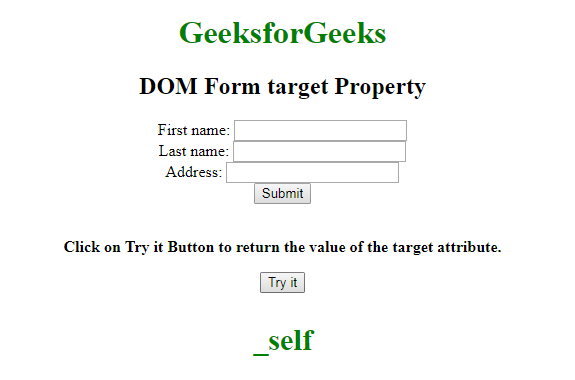 // Return form target property.